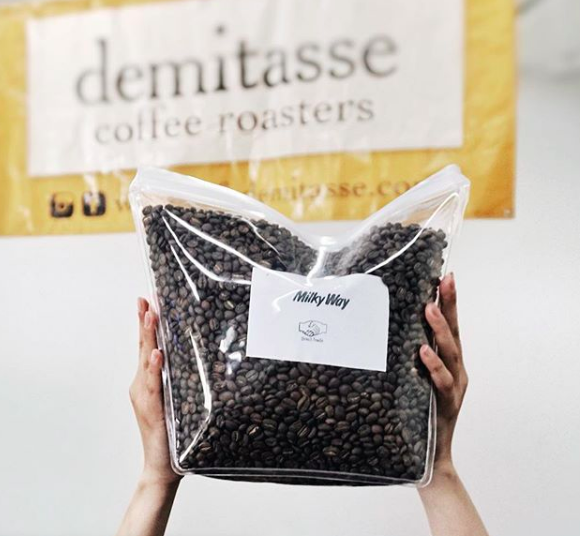 California coffee roaster Café Demitasse, founded by Bobak Roshan took to blogging in the beginning of 2019 as part of an effort to document the sustainable moves of his cafes. As a new sustainable partner to The Coffeetographer, we’ll be sharing notes, highlights and stories about Cafe Demitasse’s initiatives as an independent coffee roaster to reduce waste and make conscious moves that positively affect the lifestyle of an everyday consumer. Taking it one month at a time, the roaster and café brand is challenging itself to eliminate one wasteful thing with the goal of having a dozen actions instituted by years’ end. Lofty, yet doable, this culture likes where Café Demitasse is going. “I hope I don’t run out of ideas,” said Roshan, who is looking for ways to make change that makes sense. A review of his first four months, the culture can see that small change is making big sense – the ideas are flowing and becoming sustainable is a journey of continued action. In January, the roaster rid its café of single use disposable cups. In February, after seeing customers mainly use the wooden stirs for the single action of stirring and not taking it to-go, the roaster replaced its wooden sticks with metal ones. In March, the roaster took on ridding single use from its roasting facility. It aimed to take its single use 5-pound bags in which, “we deliver coffee from our roastery to our cafes and replaced them with reuse-able bags in BPA plastic,” said Roshan. Although a large ziplock bag didn’t seem ideal, its working and Roshan has offered the change to all its wholesale partners who he says are ready to come on board. Seeing these changes that compliment the production of coffee on the roaster’s end to the consumption of it on the consumer, proves that taking small steps can be just the right dose to lead to something greater, something that others can catch on to, too. We’re sure excited to be along on the journey to see. Are you making sustainable moves in your business? Have you found an eco-hack that works? Tell us about it below, this is a conversation and we want to keep talking. This entry was posted in coffee, Sustainability and tagged bpa, cafe, cafe demitasse, roaster, sustainability. Bookmark the permalink.